As head of the business, Jennifer Lane manages the administration of licenses and permits, and all interactions with the Federal TTB and State ABC. She maintains the company’s accounting books and administrative details. Jennifer also acts as the primary resource in Marketing and Sales. In years past she has assisted in the wine making and processing operations. She also assumed the responsibility as website administrator for the Ramona Valley Vineyard Association’s new website www.ramonavalleyvineyards.org . 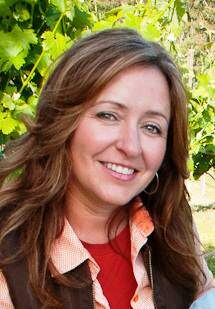 In 2009 Jennifer took over full responsibility of winemaker. Former winemaker John York has focused his attention towards growing his own winery and helping future Ramona winemakers and to increase awareness of the need to make good wine. Former winemaker yet still recognized, John York assumed full time responsibilities as winemaker for Pamo Valley Winery in 2007. John is a Ramona resident and operates Hellanback Ranch Vineyard with his wife Paula Payne. John and Paula, as well as several of their family members, have been helping with Pamo Valley’s harvests since 2004. In 2007 Pamo Valley had an ownership transition at which time John was asked to share his passion of wine with us, and become our new winemaker. John’s knowledge, perspective, focus on quality and incredible palate brought a unique and sophisticated wine making style to Pamo Valley. We have been extremely pleased with the achievements of our 2007 and 2008 vintages, and look forward to an enjoyable and rewarding future of making the best quality, local wines you’ll find in all of San Diego County! For more information on John York and Paula Payne and Hellanback Ranch Vineyard visit www.hellanbackranch.com. John was responsible for most winemaking operations. He managed all crush, fermentation, wine movement, blending, and was the person who conducted all laboratory analysis and tracking. He assisted the business owner with Marketing and Sales initiatives, produced winemaker notes, and prescribed all cellar management procedures. John has been a great teacher and leaves the wine making tasks in very capable hands of Owner & Winemaker, Jennifer J. Lane. Jeff Uran is our Cellar Manager at Pamo Valley Winery. He is extremely hard working and motivated. Jeff is always suggestive of new ideas to ways of doing existing winery practices that greatly improve our winery operations. He is responsible for all cellar operations. Jeff oversees activities including barrel management, equipment preparation, bottling operations, sanitation, environment control and storage. Jeff is responsible for managing the control of harvest and custom crush. William Anderson, Jr. builds creative marketing and communication programs for startups, businesses, and organizations. He has worked with a number of innovative companies, holding roles such as business development manager, marketing and sales director, and technology consultant. 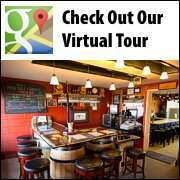 William has been working with Pamo Valley Winery to increase their visibility to a broader audience via email campaigns, social media, and blogging. Over the past year, Pamo has seen a significant increase in sales and the members of the Pamo Valley Wine Club. William enjoys bringing people and businesses together. He recently established a monthly meeting on the Upper West Side of Manhattan that provides a venue for people in the neighborhood who work from home to discuss their challenges and successes. When not working, William enjoys a nice glass of Riesling, both playing and watching a passionate game of soccer, and enjoying life in New York City with his family. He can be found online at www.andersonjr.com or on Twitter (@wiljr).